It’s finally that time of year again: The weather’s getting warmer, the sun is usually out, and the quad is looking nice. Throw on your shorts, take out a lawn chair, and sip on a beer. There’s really nothing better than some day drinking after class. Chill Music: Something mellow or anything but the popular dance music you’ll be screaming along with later on in the night. Bob Marley, Blink 182 or even Third Eye Blind will do the trick. 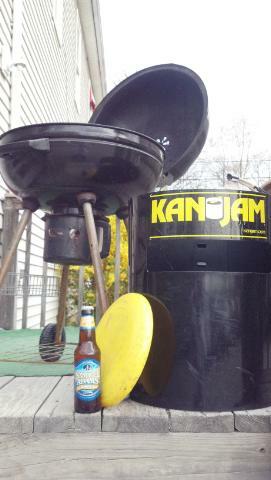 Kan Jam: I’m not very good at Frisbee but this is a necessity either way. Take breaks from drinking your beer or take the challenge and play one handed. Togas: The only time to wear a toga is daytime. And they’re definitely more comfortable than your everyday clothes. Barbecue: Burgers, hot dogs, and BBQ chicken are great alternative to your drunken pizza meals. Smells delicious, tastes delicious and is never a bad idea. You don’t need a large event or everybody you’ve ever come in contact with. It’s not bad to keep it low key with just a few friends. Throwing around a few memories and embarrassing stories will keep you talking all day. A simple college, professional or televised sporting event is also a great way to pump you up during the day. Just grab a few friends and make sure to go off campus to enjoy your nice, cold beer in the beaming sun. Follow this list to ensure you’ll day drink like a boss. 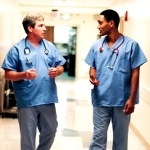 Do Male Nurse's Need a Different Career Plan from Women?